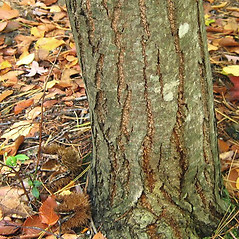 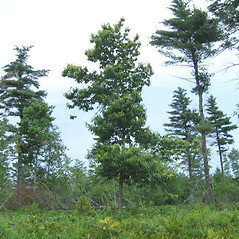 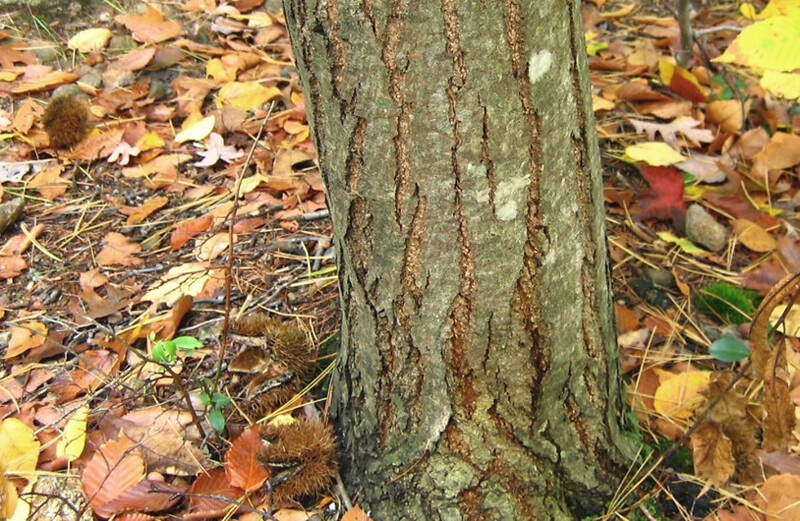 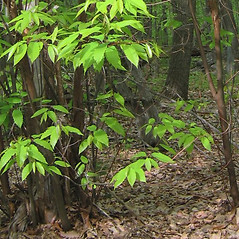 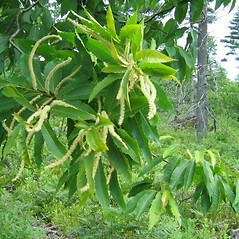 The specimens of American chestnut that most people see in the forest -- stump sprouts usually no more than 15 feet (5 meters) tall -- are just ghosts of their former selves. 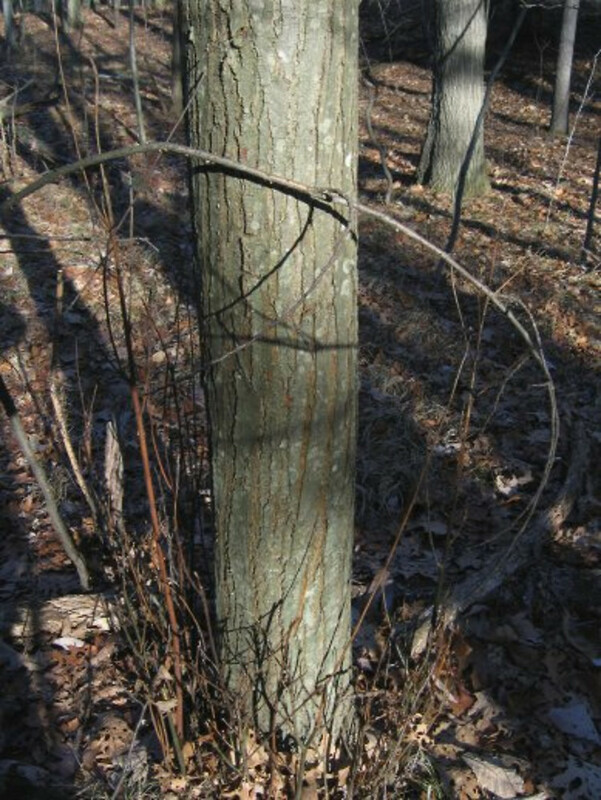 This canopy tree was once dominant in eastern forests before the fungus blight that killed them was introduced from China in 1904. 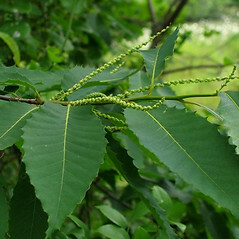 However, the outlook for this species is improving as intensive breeding efforts attempt to identify resistant strains. 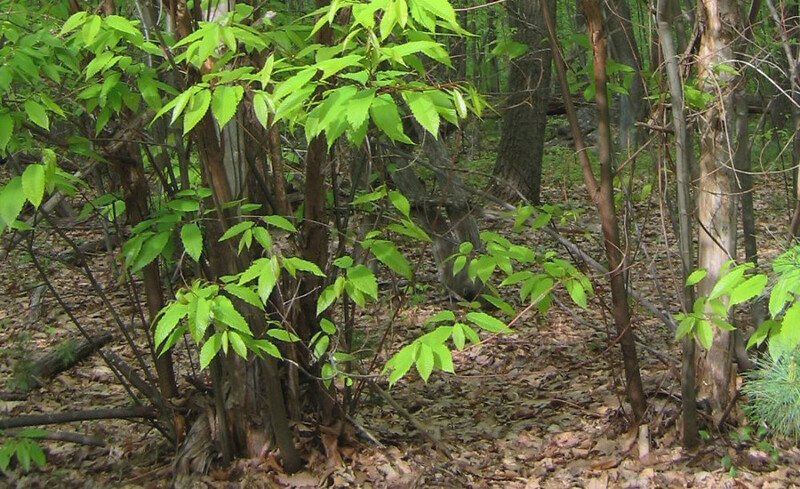 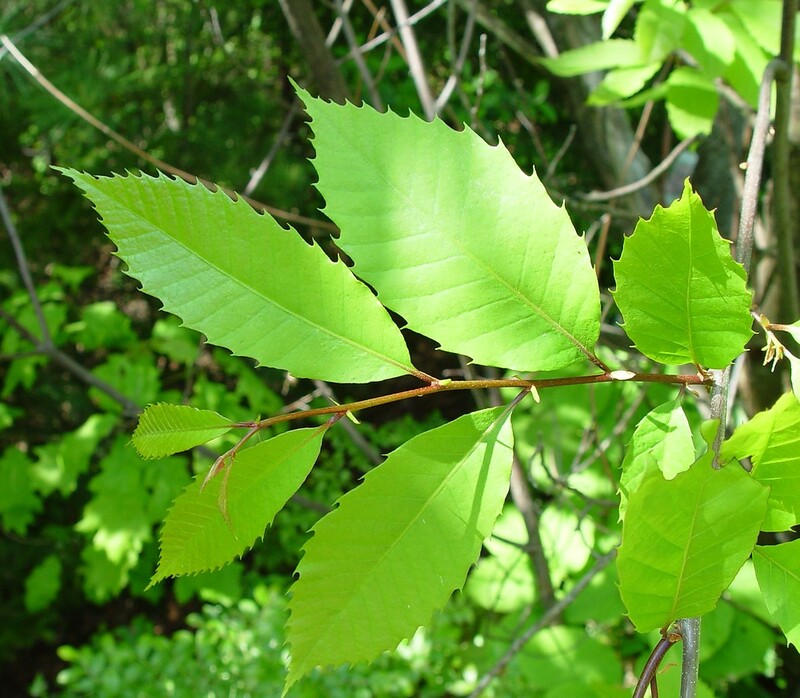 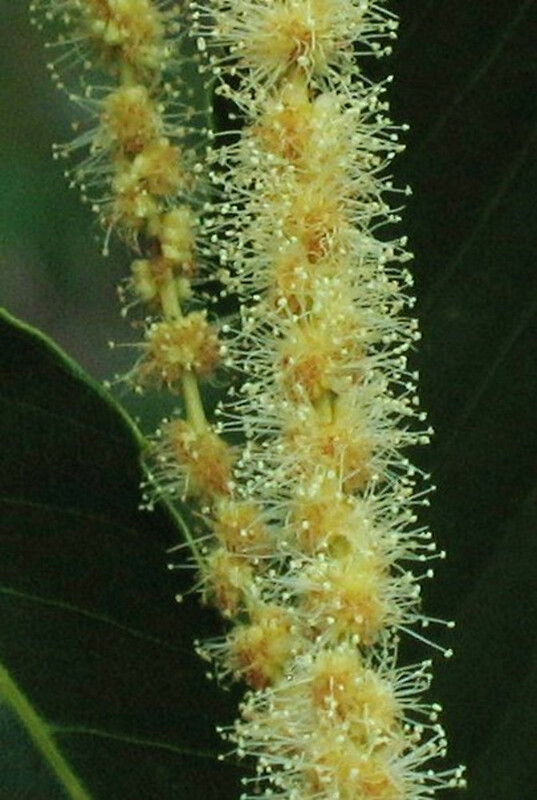 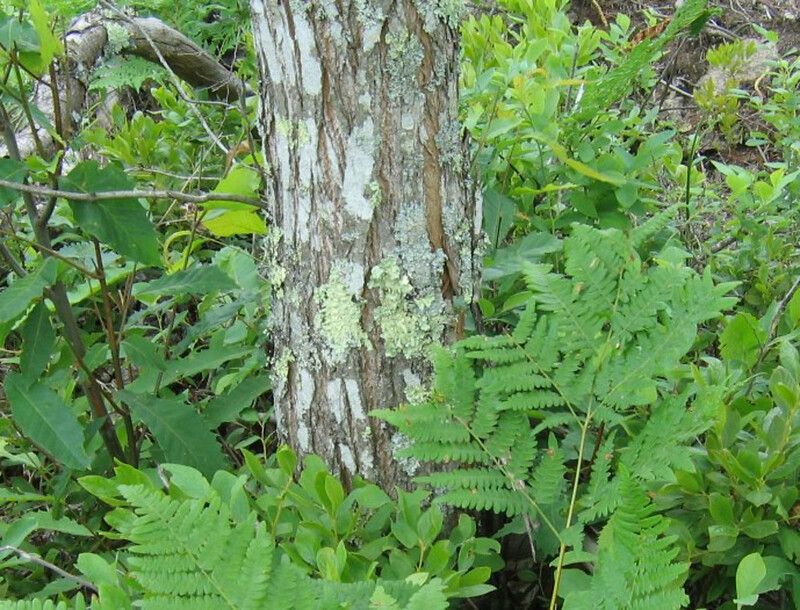 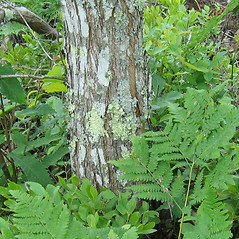 In the meantime, look for multi-stemmed tall shrubs with double-tapering, coarsely-toothed, smooth leaves, often persisting in the warmer pockets of dry woods. 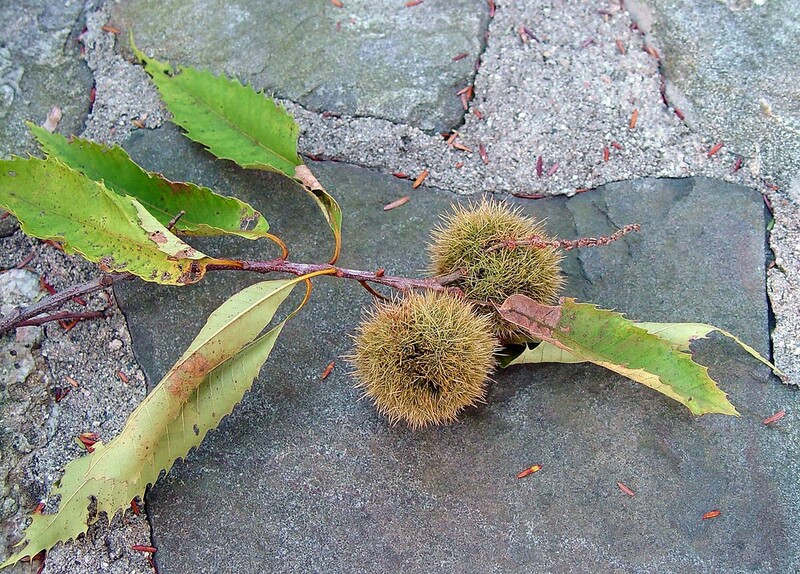 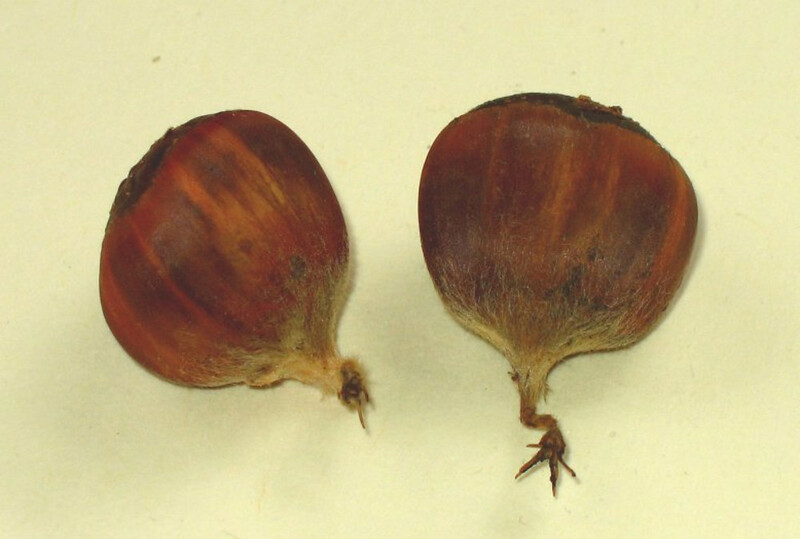 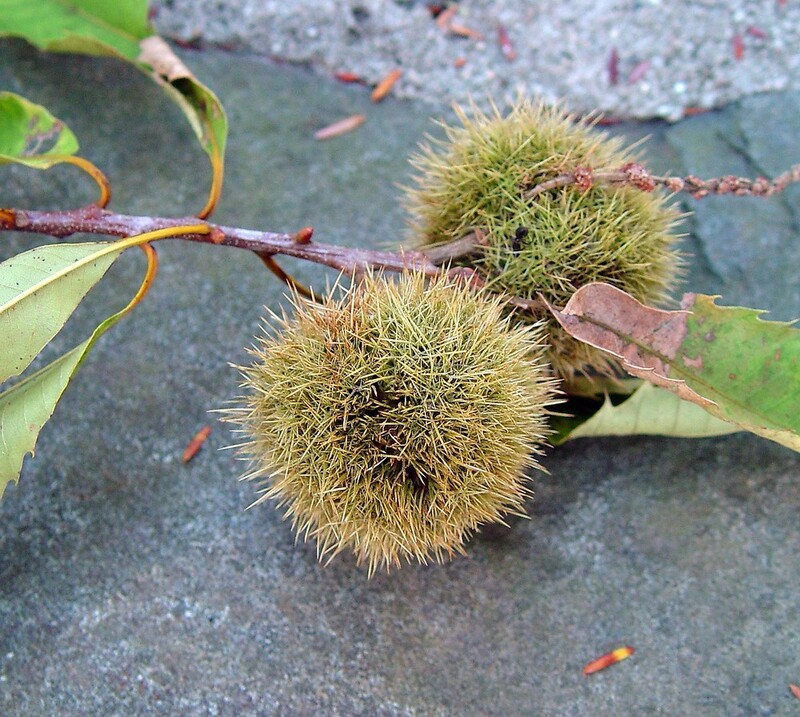 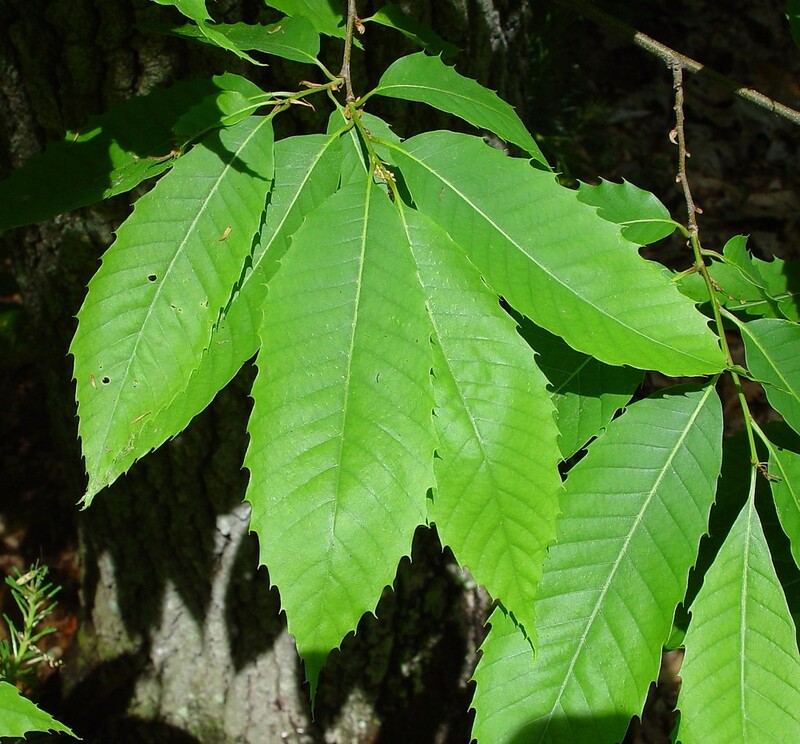 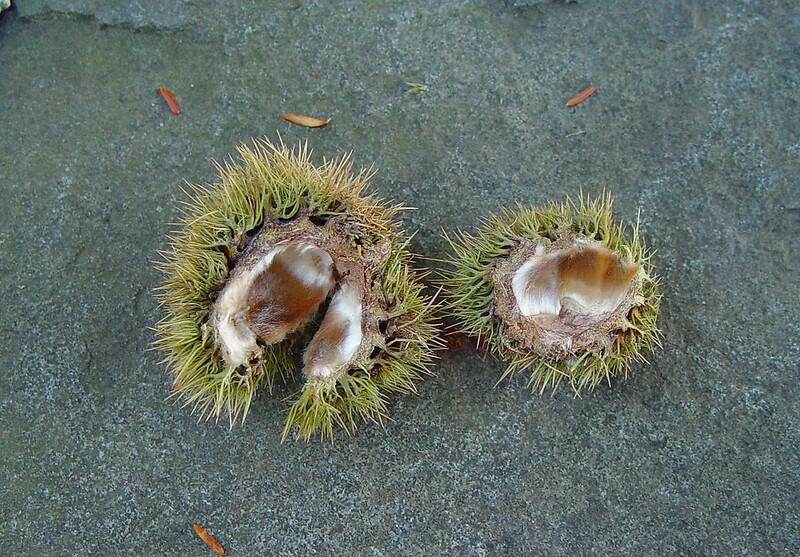 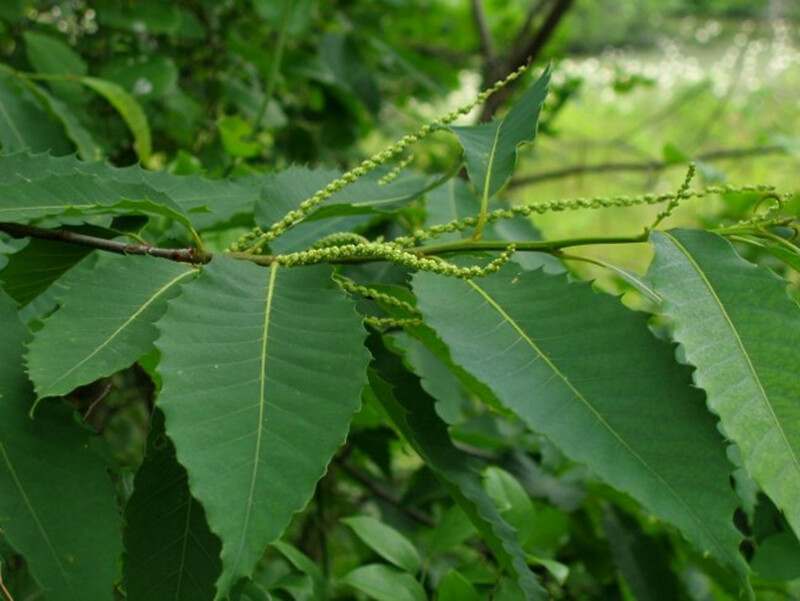 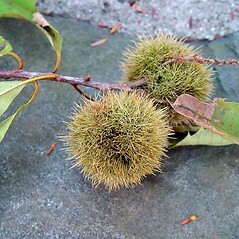 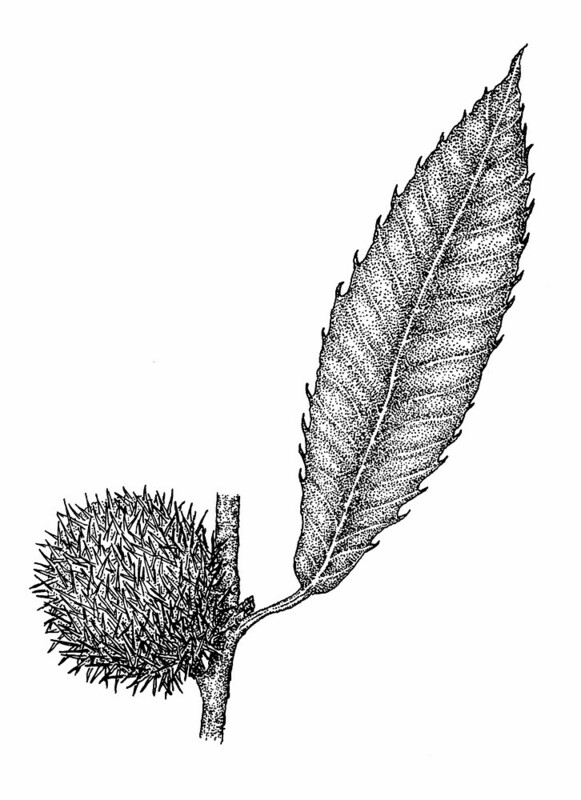 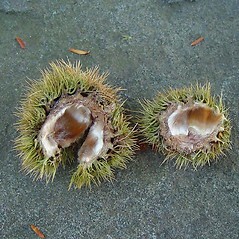 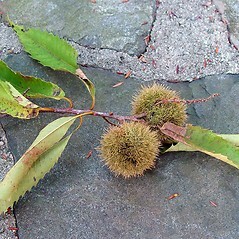 The chestnuts of this once-widespread tree were used in many recipes and medicinal preparations. 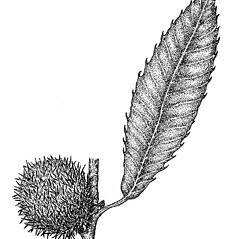 The astringent bark yielded tannins, and the immense, spreading crowns of open-grown trees provided shade in roadside plantings. 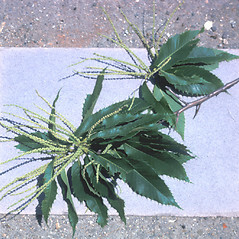 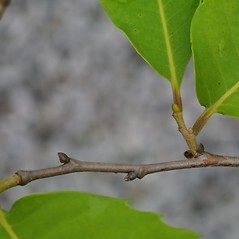 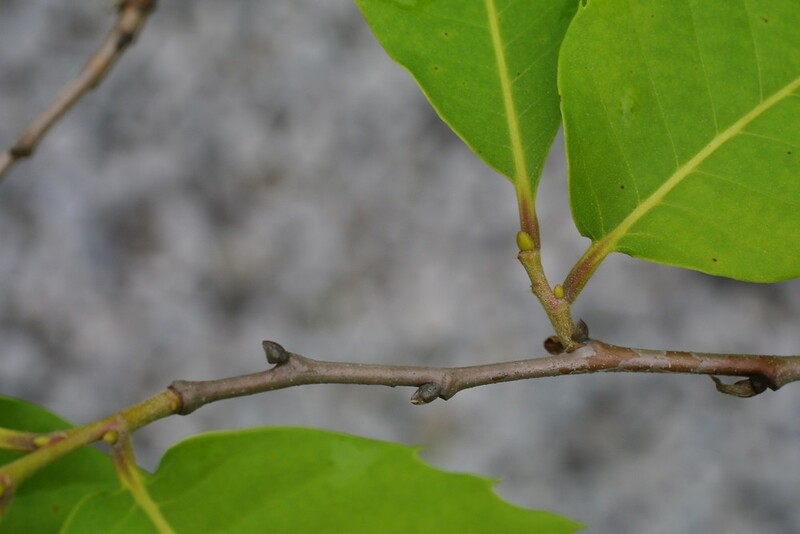 mature leaf blades sparsely to densely stellate-pubescent on the abaxial surface and winter buds pubescent (vs. C. dentate, with mature leaf blades essentially glabrous on the abaxial surface and winter buds glabrous). 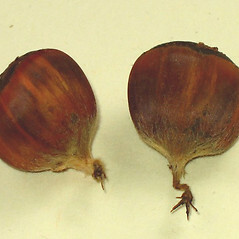 pith circular or nearly so when viewed in cross-section, winter buds fusiform, 8-19 mm long, and pollen-bearing flowers in dense, spherical clusters (vs. C. dentata, with pith with 5 prominent points when viewed in cross-section, buds ovoid to globose, up to 10 mm long, and pollen-bearing flowers in elongate arrays). 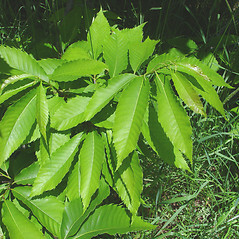 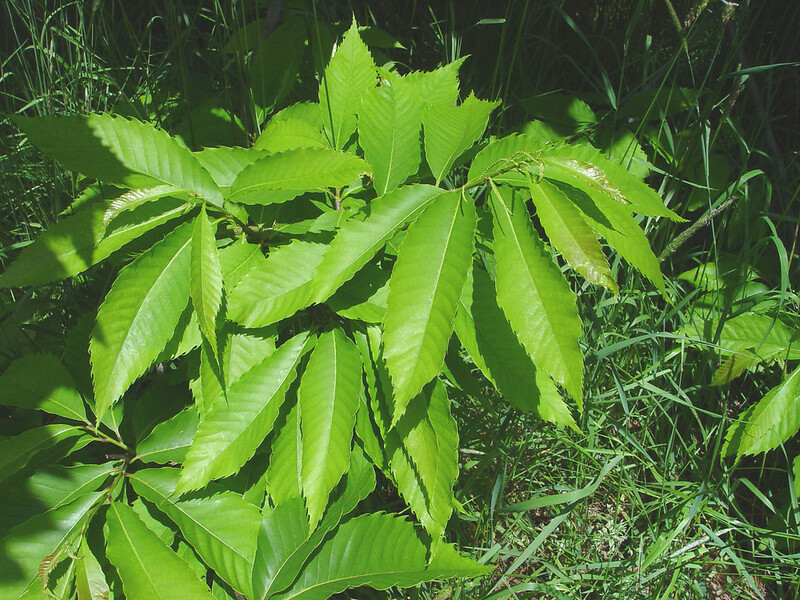 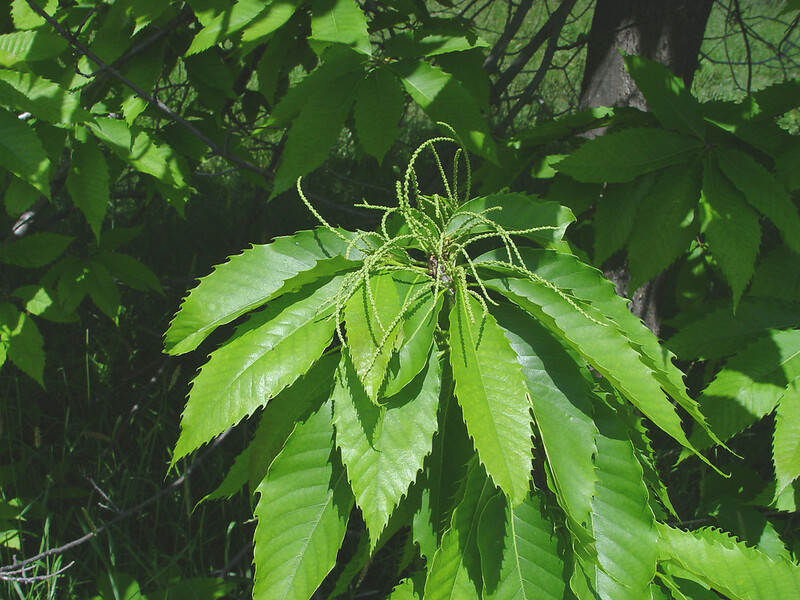 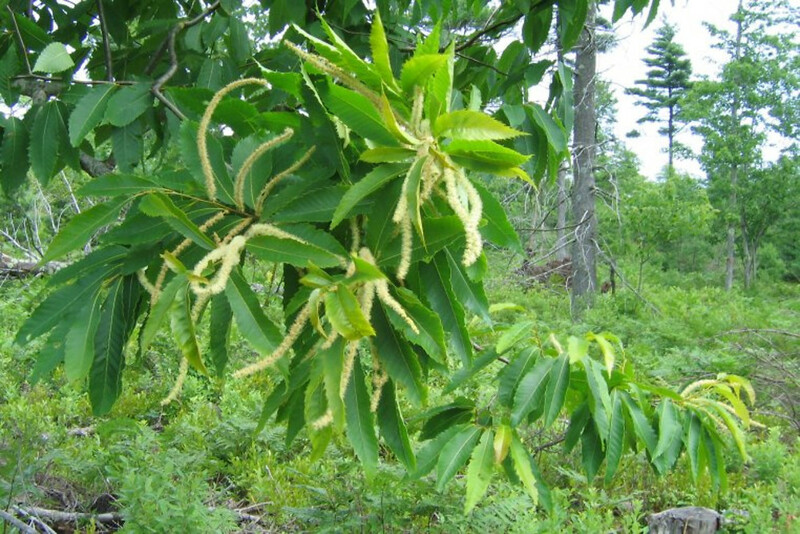 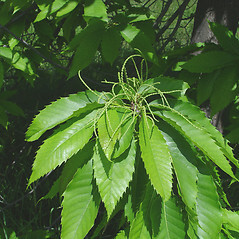 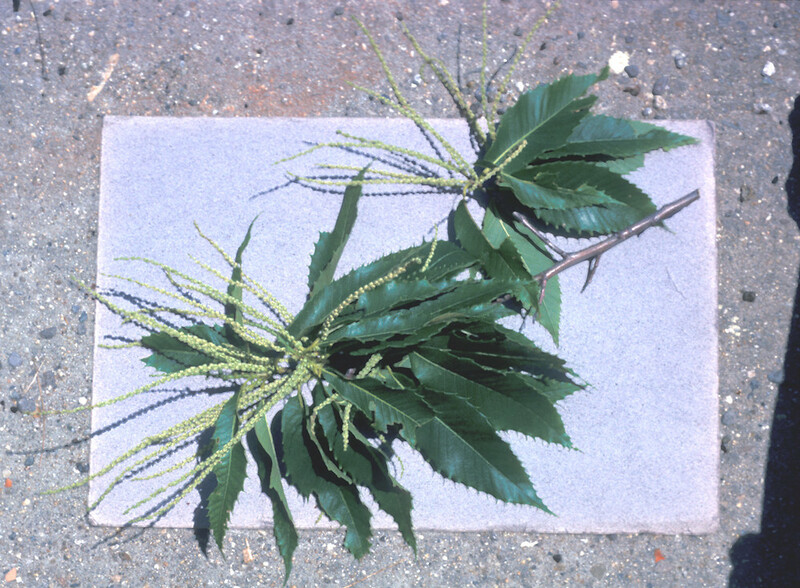 American chestnut. 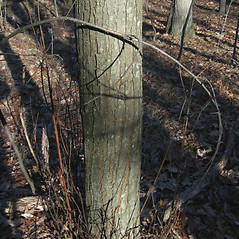 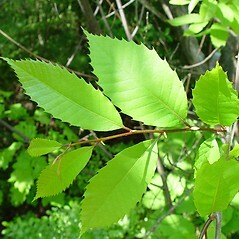 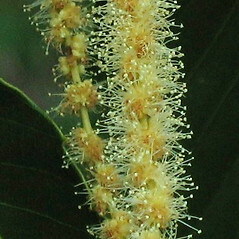 Fagus-castanea dentata Marsh. 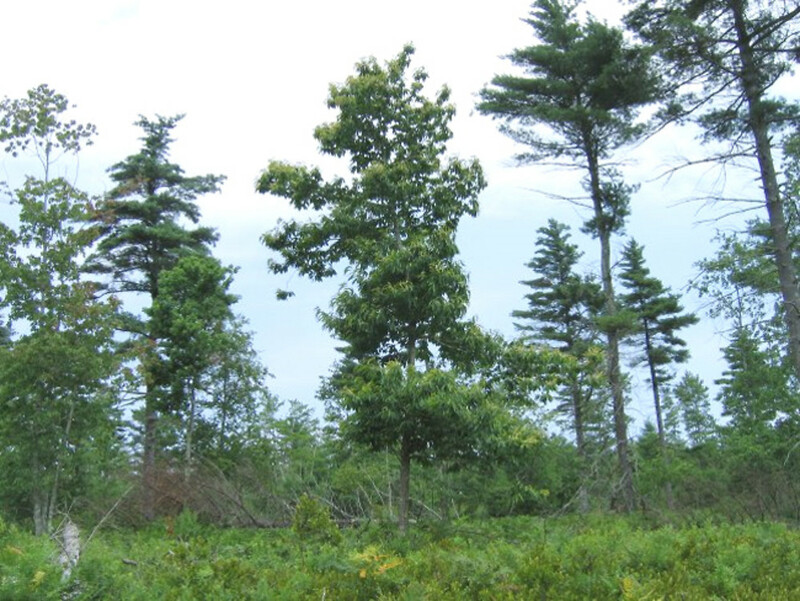 • CT, MA, ME, NH, RI, VT. Dry-mesic to mesic, deciduous to mixed evergreen-deciduous forests.